Reiki involves the transfer of energy from practitioner to patient to enhance the body's natural ability to heal itself through the balancing of energy. Reiki utilizes specific techniques for restoring and balancing the natural life force energy within the body. It is a holistic, natural, hands-on energy healing system that touches on all levels: body, mind, and spirit. Reiki in New York is very popular not because it sounds foreign or trendy, but because many people unrelieved the healing methods. Reiki (pronounced ray-key) is a Japanese word representing universal life energy, the energy that is all around us. It is derived from rei, meaning "free passage" or "transcendental spirit" and ki, meaning "vital life force energy" or " universal life energy". New York is very energy consuming place, therefore, many people were trying to find a solution of how to stay active and positive while living in such a big city. Reiki practitioners in New York at AmitaUSA channel energy in a particular pattern to heal and harmonize. Unlike other healing therapies based on the premise of a human energy field, Reiki seeks to restore order to the body whose vital energy has become unbalanced. The laying of hands is used in Reiki therapy also as in spiritual healing. There is a difference though. In spiritual healing, a person with a strong energy field places his or her hands above a particular part of the recipient's body in order to release energy into it. So, here the healer is the one who is sending out the energy. In AmitaUSA during Reiki, however, the healer places the hands above the recipient; however, it is the recipient that draws the energy as needed. Thus, in this case, the individual being healed takes an active part in the healing process as opposed to having a passive part in spiritual healing. The individual takes responsibility for his or her healing. The recipient identifies the needs and caters to them by drawing energy as needed. There are several forms or streams of Reiki. More common is Usui Shiki Ryoho form of Reiki, but there is also Karuna Reiki. There are not many Karuna Reiki centers in Brooklyn or even New York, but AmitaUSA specializes on Karuna Reiki for more than 4 years. Karuna is a Sanskrit word and is used in Hinduism , Buddhism and Zen. It means to take away the suffering of others and could also mean to take compassionate action . Usui Reiki is a beautiful loving healing energy and Karuna has been known to be more powerful. There is more than one healing energy in this world and Karuna is but another that intensifies what we already know. You must be trained in Usui Reiki first since this energy is advanced and moves quicker for faster healing, physically, mentally, spiritually and emotionally. When experience enlightenment, they report that all beings are known as one. Therefore, it is natural to extend compassionate action or Karuna to everyone without distinction because we are all one. As we help others and aid them in their harmonizing process, all beings benefit. Because of the oneness of all beings, it is understood that Karuna is not only extended to others out of love, but also, because it is an entirely logical thing to do. In the same way that you would want to heal your own wounds, you would also want the wounds of others to heal. It is also stated in the Buddhist literature that Karuna must be accompanied by wisdom in order to have the right effect. Dr. Tatyana Yakovleva uses Reiki and Karuna Reiki to supplement other treatments. We help all our clients who look for Reiki treatment in New York area. Illness occurs when an energy (Qi) imbalance exists at the cellular level. Qi is the vital energy. It is the only true healing power for bio-energy balancing. All energy techniques use this method to achieve a balance of mind and body. Bio-energy healing treatment is very popular right now, bioenergetic healing techniques in New York help our clients to achieve a full balance between the energy and biochemicals and feel superb. We are all built from two components - biochemicals and energy. The energy of the bodies of humans and animals is known as bio-energy - the energy of life. This force surrounds every cell, providing a blueprint for the physical body and serving as a medium for the flow of information through the body. Bio-energy also extends outside of the physical body, creating low frequency electromagnetic fields around us (as well as other subtle energy fields). Bio-energy therapy in NewYork is a method based on transmission of energy from one organism to another in order to improve the individual's condition. Technically defined, bio-energy therapy involves the replenishment of human "bio-currents" and the elimination of energy disturbances and blocks. Everything that happens to a physical body is reflected in its energy flow, as well as energy flows in the body. 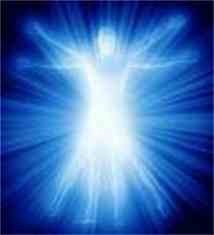 Bio-currents are manifested in the bio-field surrounding the body, also known as the aura. The aura emits energy vibrations that can be detected and measured and have been identified through the use of Kirlian photography. ORION Bioscan and QXCI scan this energy flow and show anomalies, which Dr. Tatyana Yakovleva explains to the patient. Some illnesses manifest at an energetic level before they appear at a physical level and this is how we detect them prior your physician does. However, Dr. Tatyana Yakovleva does not diagnose illness, your doctor must perform that task. Instead, she refers people to their physicians when she finds diseased areas and malfunctioning organs. Energy treatment in New York is very important due to several reasons, including high pace of life here and how energy consuming big cities are. Dr. Tatyana Yakovleva restores a patient's energy balance by detecting anomalies and transmitting energy to blockages or disturbances with her own energy (bio-energy involves the transmission of subtle vibrations from one person to another to facilitate healing) or by using the training power of bio-scans. The patient being treated may feel heat, tingling, vibrations - or nothing at all. If you are looking for a place to restore your energy balance in New York, we are here to assist you no matter how complex your issues are. 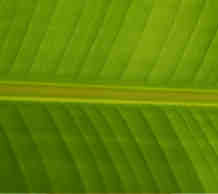 Bio-energy transfer facilitates self-healing by the client. It is a catalyst for the healing process and vital lifestyle changes. Ancient healers long ago discovered that bio-energy could be directed and manipulated and its flow transferred to those with a deficiency of such energy. The energy balance may be restored and normal body process resumed. You may instantly increase your energy to improve your health and relive your suffering, stopping pain and reducing inflammation; balancing organs, glands and tissues of the body. Bones may even move back into alignment. Since it is always the body healing itself, the body will use this energy in whatever way it decides. Life-force energy even has a remarkable effect on psychological and emotional states. This can lead to the relief of severe pain, which, at times, is quick and profound. Bio-energy transfer in New York is not new, but there are very few places who provide quality healing process. ORION Bioscan and Clasp scan energy flow and show anomalies on the screen. Dr. Tatyana explains the anomalies to the patient and recommends to see a physician. Very often illnesses occur on the energetic level prior their physical appearance. Dr.Tatyana cannot diagnose you, however, she provides a clear explanation of how your energy balance works and how to make you feel better with non-traditional methods, without using medications but only herbs. If the serious troubles are detected, she recommends to see physician and treat the issues with traditional medical approaches. Dr. Tatyana Yakovleva restores a patient's energy balance by detecting anomalies and transmitting energy to blockages or disturbances with her own energy (bio-energy involves the transmission of subtle vibrations from one person to another to facilitate healing) or by using the training power of bio-scans. The patient being treated may feel heat, tingling, vibrations - or nothing at all. What makes Dr. Tatyana Yakovleva's method unique is that she uses a variety of energy harmonizing techniques. She also tests everybody to individually choose the most effective treatment protocol. If you are looking for the energy healing treatment in New York, this is a right place for your body to get the treatment it deserves. Energy flows may be improved by the system of practices contained in the concept of 'bodywork', such as Tui Na massage, Reiki, acupuncture. Because the internal energy flow remains closely related to the external energy flow, bodywork has a very positive effect on health of a person and on the person's emotional and mental states. Dr. Tatyana Yakovleva is also using Herbs & Homeopathy in her practice. Using the best of Complementary and Natural Medicines - Acupuncture, Herbs, and Homeopathy - we are able to treat a myriad of disorders, illnesses and diseases. Homeopathy is one of the most common medical systems worldwide. Homeopathy in New York is very popular now as people understand that it helps on much more levels than the synthetic medications do. It is based on the idea that a person who is sick can be treated with a very small concentration of a substance (remedy) that at higher concentrations would cause similar symptoms of illness in a healthy person. In homeopathy, the more dilute the remedy, the stronger the action. This is in stark contrast to traditional medicine where the higher concentration of drug, the stronger the action. Dr. Tatyana Yakovleva's treatment principles are simple: By correcting any underlying weakness or imbalance and resonating with the body's own innate healing mechanisms, the body recovers the ability to heal itself. THE HEALING POTENTIAL IS LIMITLESS.